I have two pleather skirts in rotation right now that are close to the end of their lives. One is a crazy multicoloured animal-print number, the other is a simple wrap skirt that has started to seriously crack, which is why I’m after this one from Topshop as a replacement. This skirt continues to build on my love for midis. 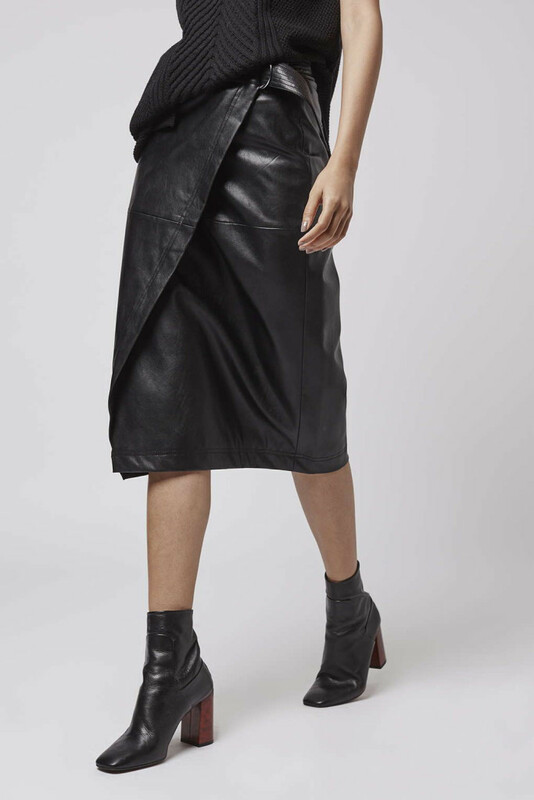 Topshop’s Wrap PU Midi Skirt has a D-ring waistband and has a wrap front. It’s perfect for layering with chunky knits, silk shirts and oversize tees. Plus, Topshop have given me 20% off for my birthday which means this beauty is a bargain.